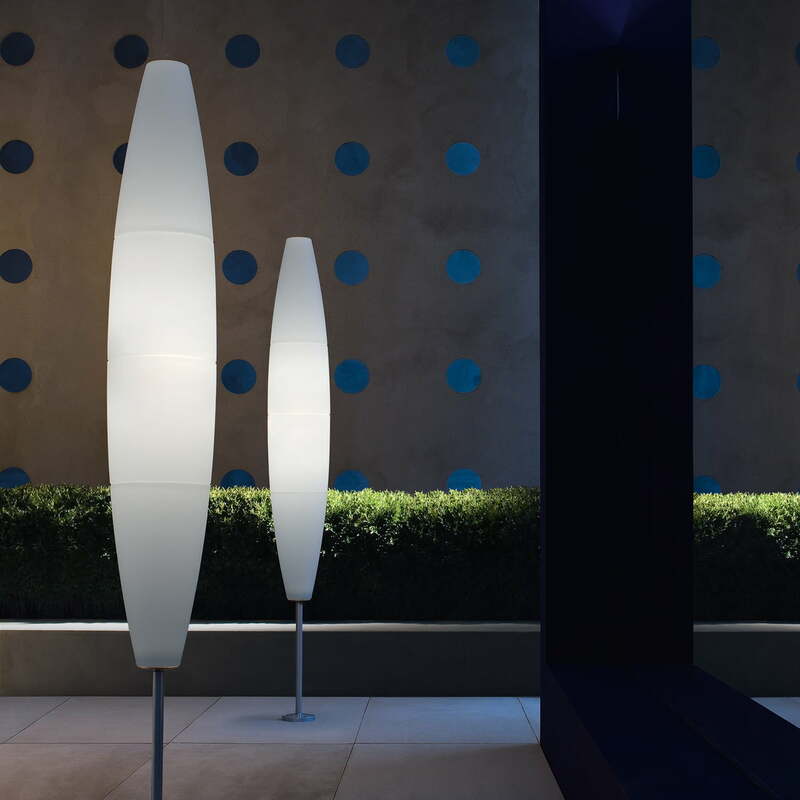 The Havana outdoor floor lamp by Foscarini is a great eye-catcher in the garden. The lamp was designed in 1993 by Jozeph Forakis who placed special emphasis on lightness and elegance. During this time, Foscarini only had lamps made of glass in its product range. However, they were quickly convinced by Forakis to make the lamp out of plastic (polyethylene) which would allow freedom in terms of shape and construction, . The result is a light that definitely lives up to its name with its cigar shape. Despite its considerable size, the light does appear bulky thanks to its slim silhouette and muted colours. Small incisions that divide the lampshade into multiple segments adds depth and dimension to the lamp. For barbecues or garden parties, the Havana outdoor floor lamp can easily be positionned where light is needed. Equipped with a spike, the lamp is simply stuck into the grass, ensuring stability and allowing flexibility. The indirect light produces a wonderfully cosy atmosphere, ideal on a balmy summer’s evening. Available in multiple versions, every model can be wonderfully combined together. 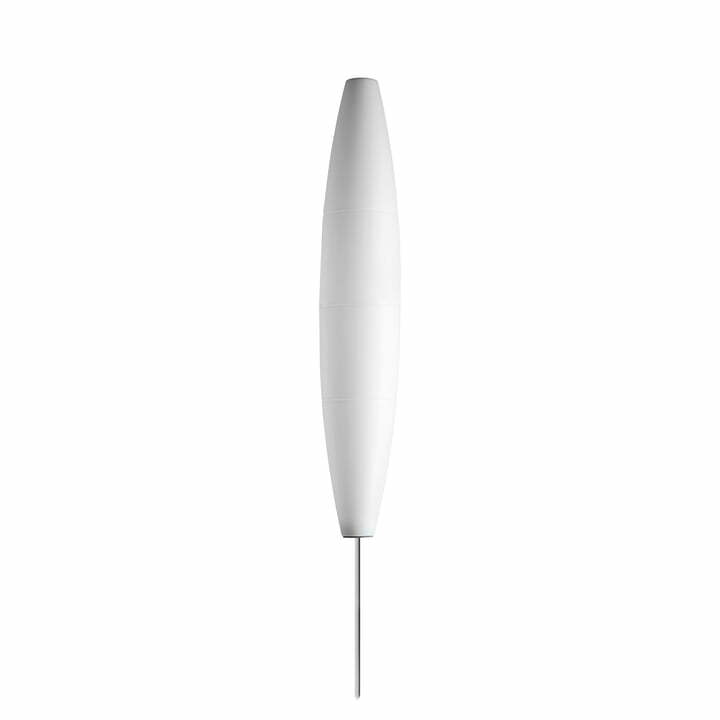 Isolated product image of the Foscarini - Havana Terra Bassa Outdoor Floor Lamp, H 143 cm / white (spike) The lamp was designed in 1993 by Jozeph Forakis who placed special emphasis on lightness and elegance. Lifestyle product image of the Havana Pendant Lamp by Foscarini. Available in multiple versions, every model can be wonderfully combined with one another. 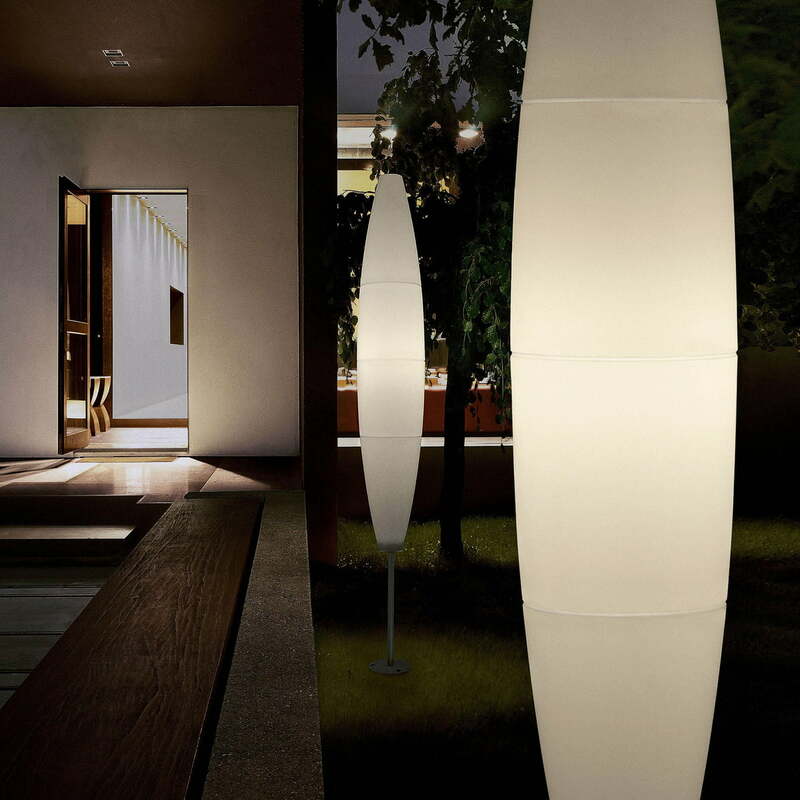 Lifestyle product image of the Havana Pendant Lamp by Foscarini. For barbecues or garden parties, the Havana outdoor floor lamp can easily be positionned where light is needed.